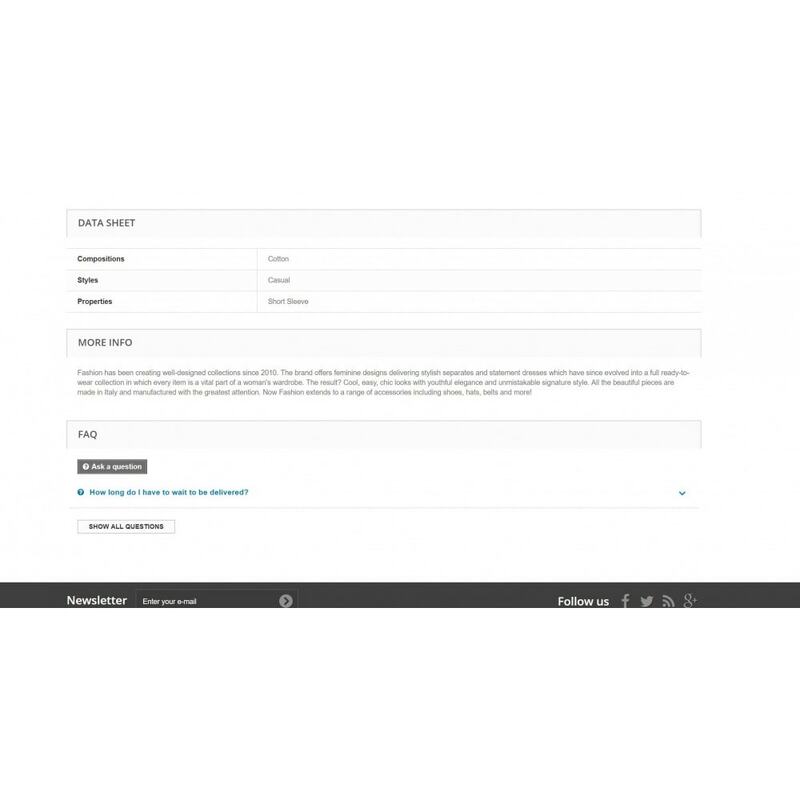 You want a simple product you can configure in a few clicks and that also meets all your needs? The "FAQ for all" is for you. 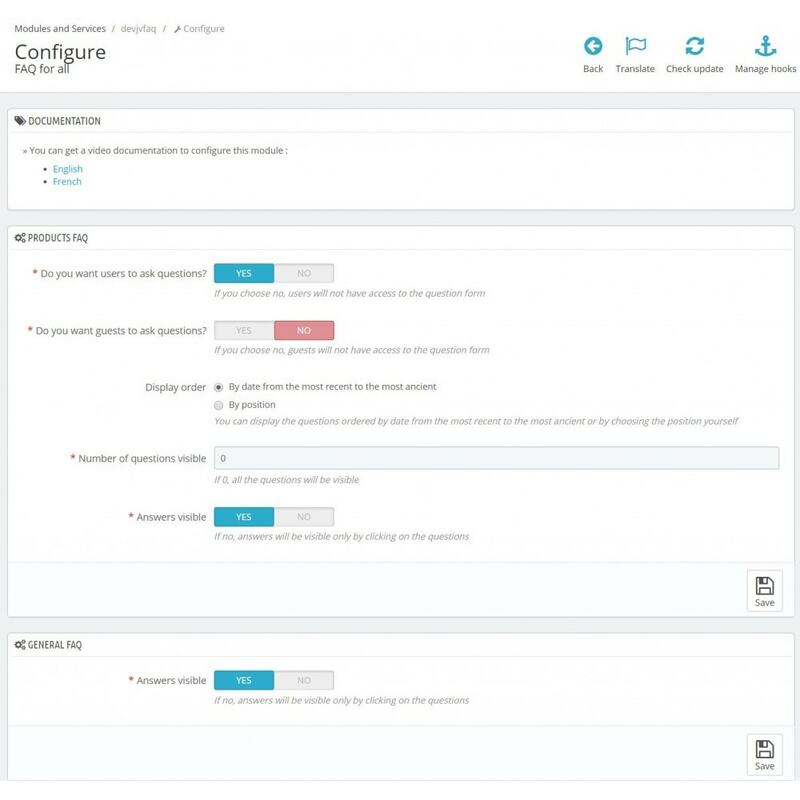 Its configuration page is very intuitive and will offer you a lot of possibilities: configure the display and the possibility for users (connected or not) to ask a question. 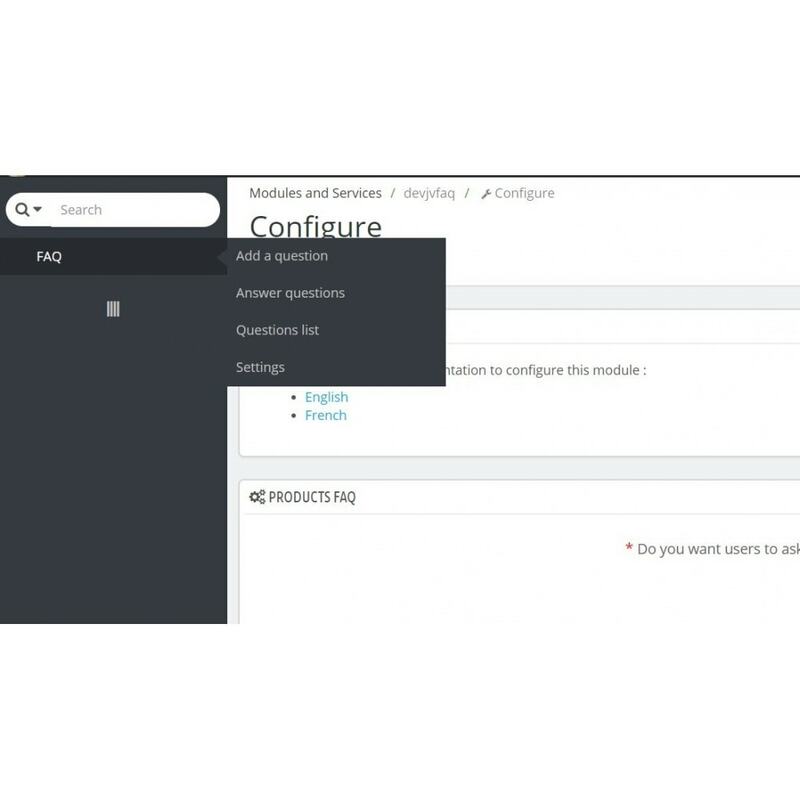 This module allows you to handle 2 types of FAQ in a very simple way: questions for a specific product or global questions about the website. You can define if users can ask questions. You can define if only connected users can ask questions. 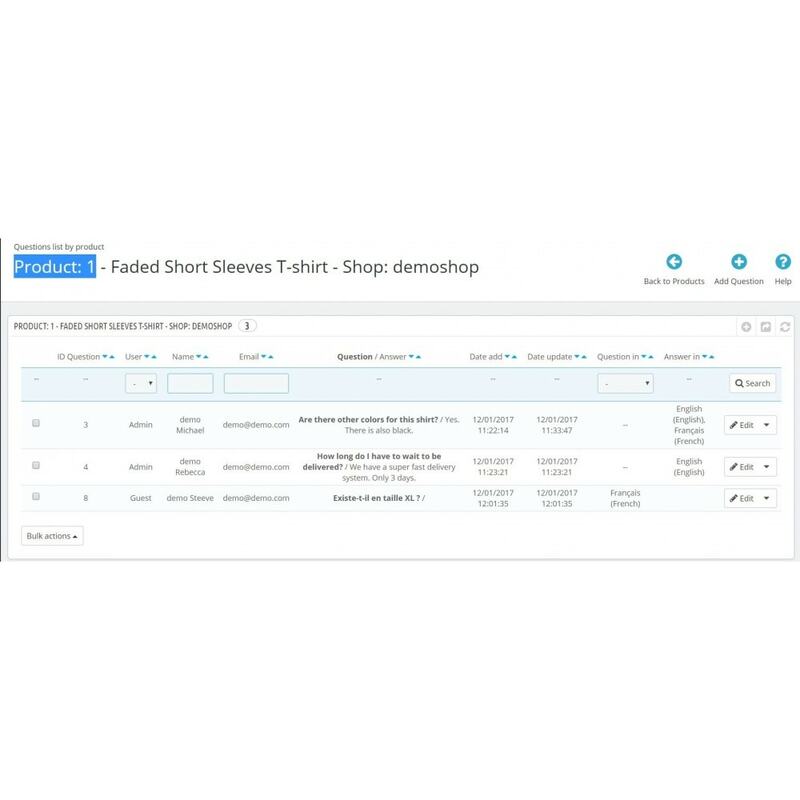 You can choose the display order (by date or by position of your choice). 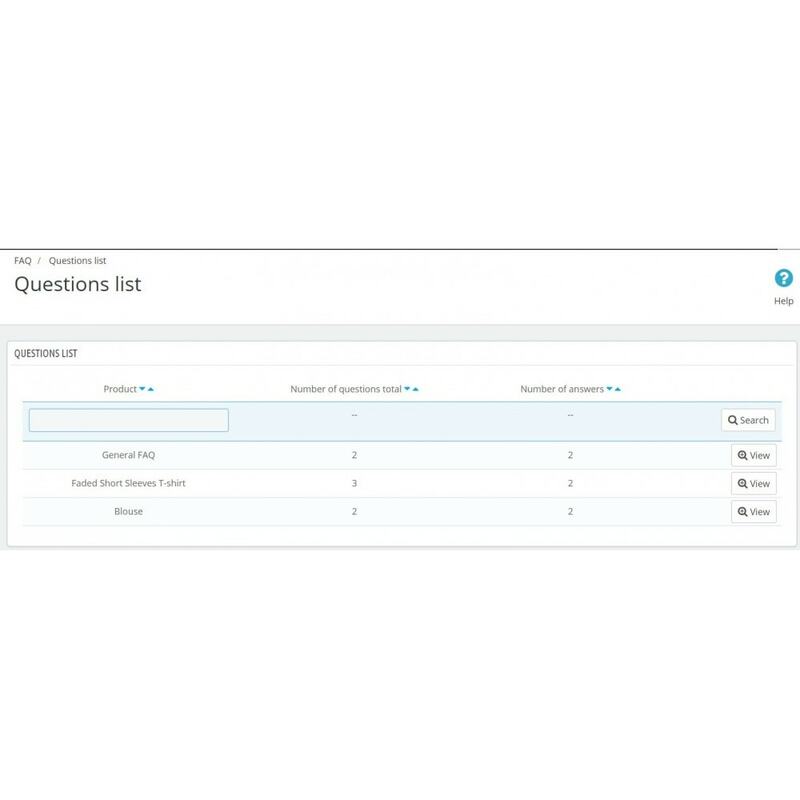 You can choose the number of questions visible by page. 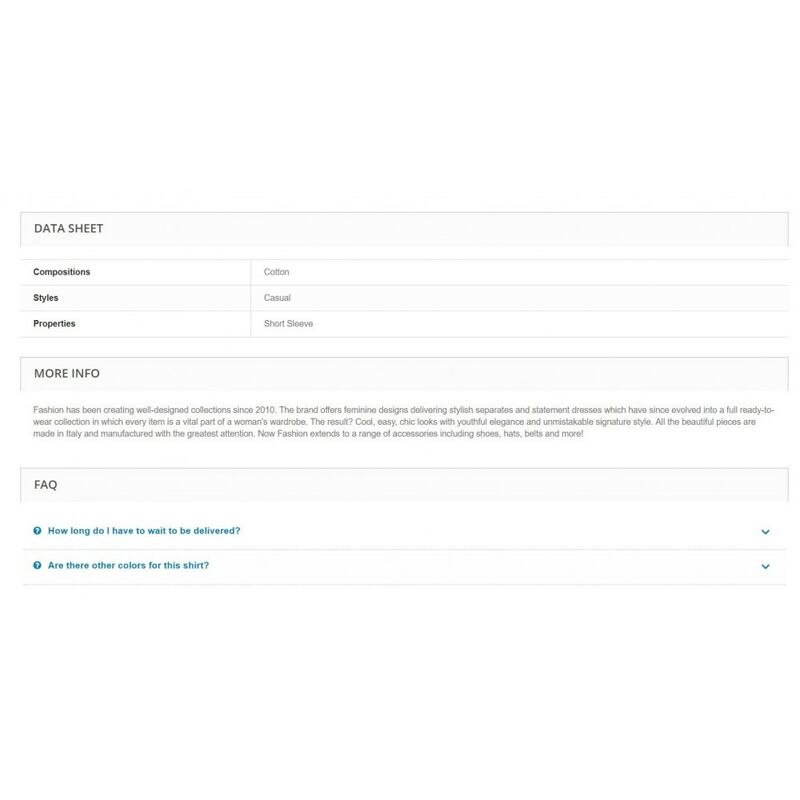 You can define if answers are visible by default, or if you have to click on the question to reveal the answer (option also available for the general FAQ for the website). You can add a question only by product. 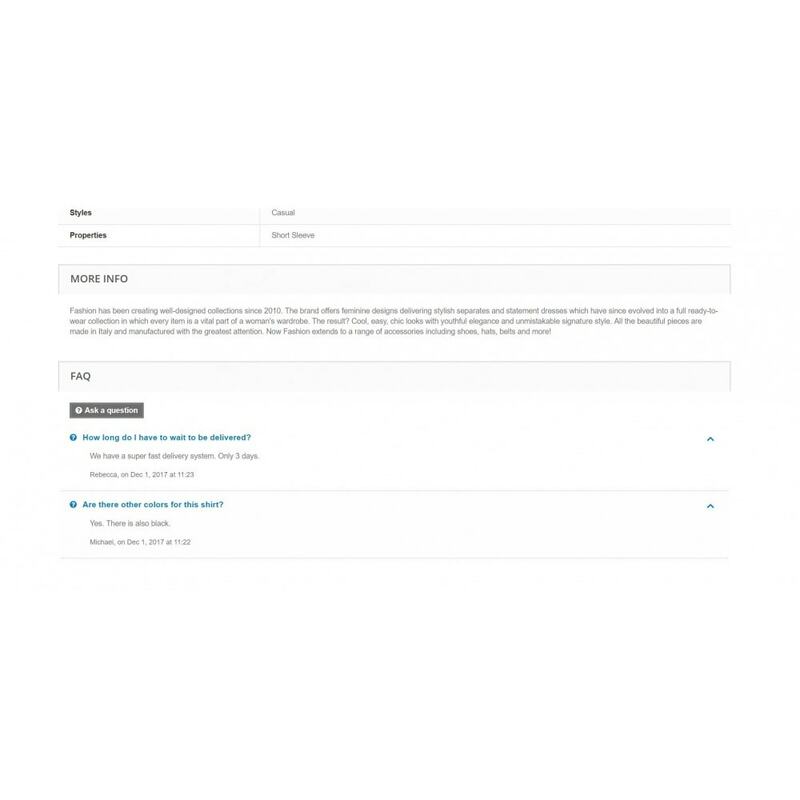 A question added will automatically be displayed on the website (in the page of the indicated product). 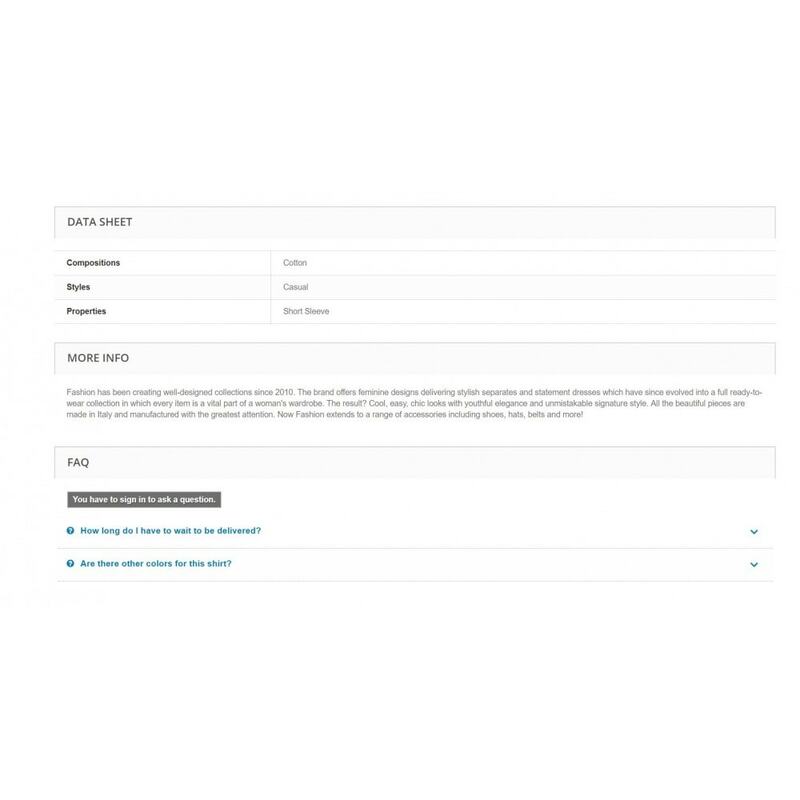 From the same adding page, you can add a question for the general FAQ. You'll be warned by email of a new question. You'll have to answer at least in the language of the question. You'll be able to translate the question and the answer so that it will be displayed in the other languages. 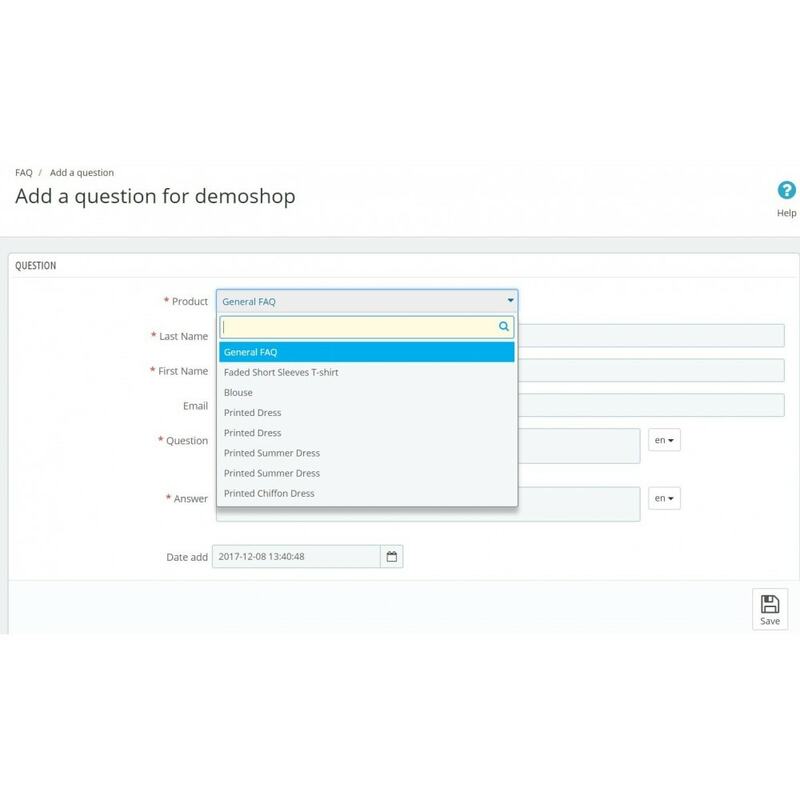 When you'll submit your answer, an email will be sent to the user who asked the question to warn him that an answer is displayed on the website, with the product link, and this answer will automatically be displayed on the website (according to the shop, the product, the language and the order of display you have chosen). Display of the product lists according to the shop of the context you're in. 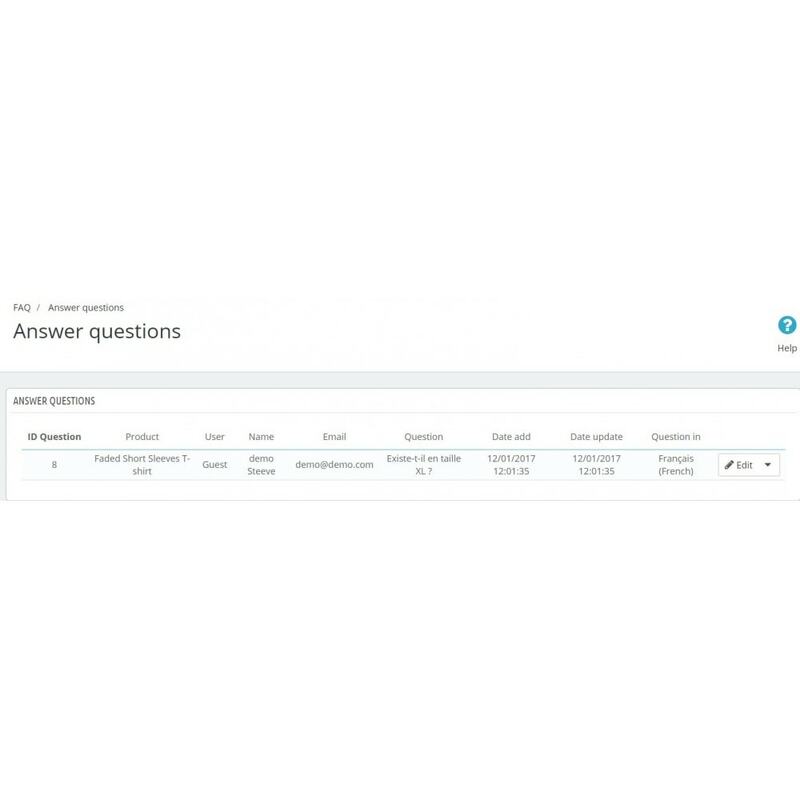 The next screen allows you to see all the questions by product and by shop chosen. 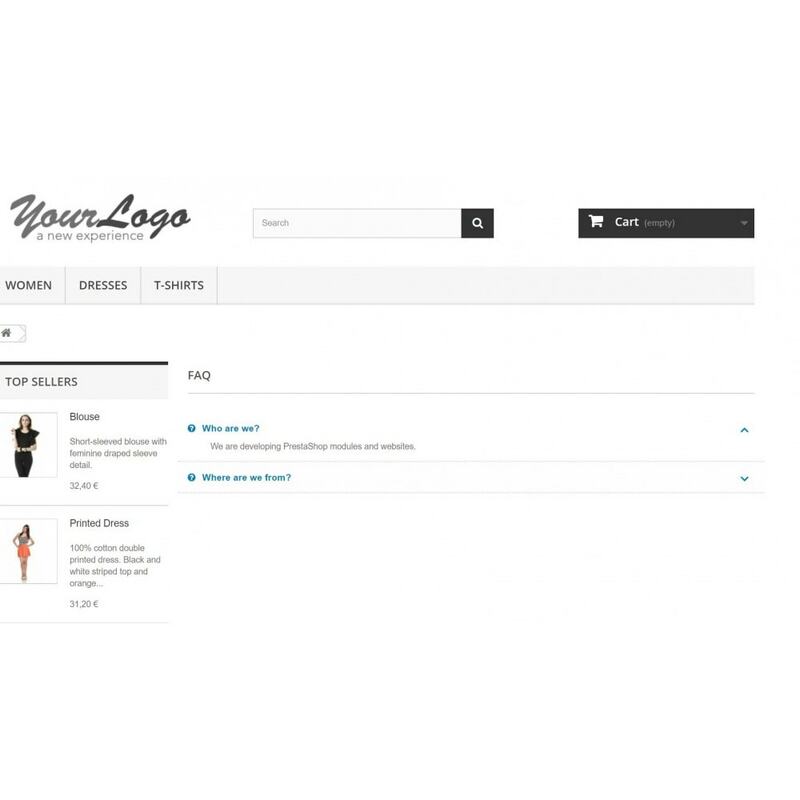 It will allow you not to see all the questions of all the shops and products on the same screen. 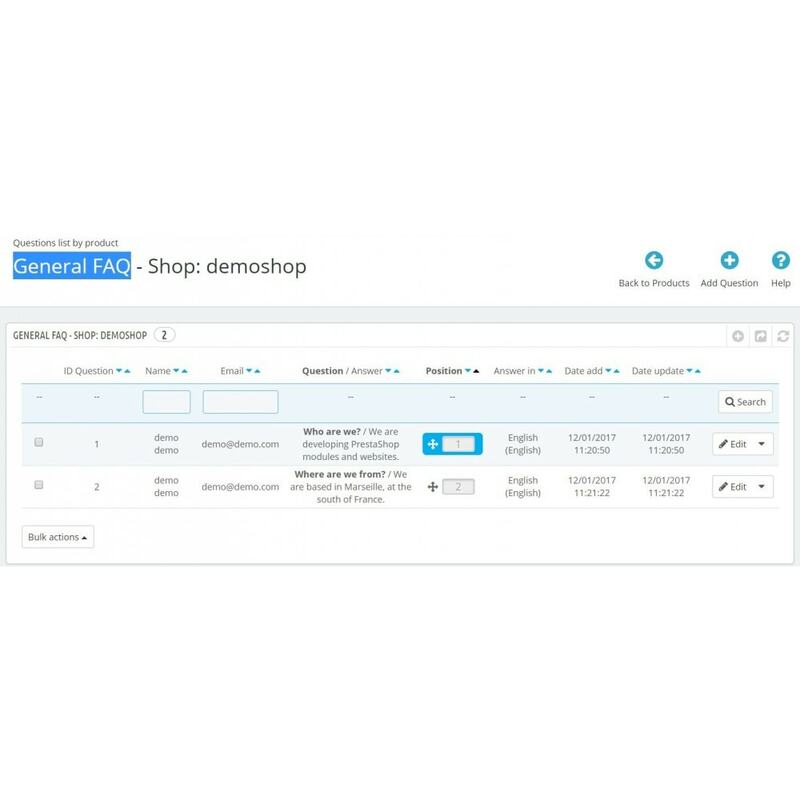 The display of the "General FAQ" product is only ordered by chosen position and not by date. 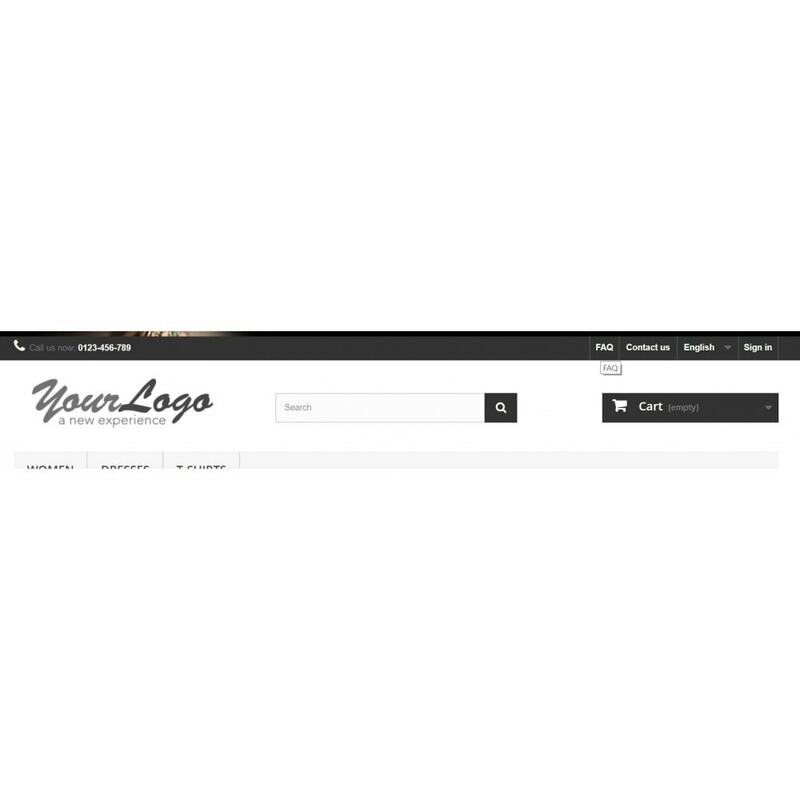 The display of the other products is ordered according to your configuration, by date or by position. 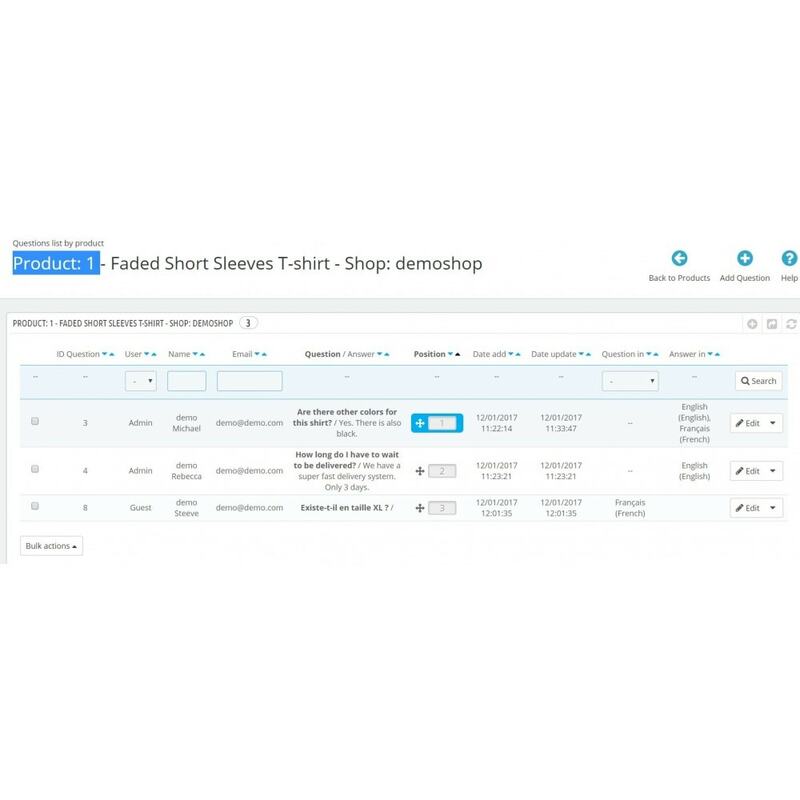 You can add in a defined grid, a multitude of images that you position at your convenience in a graphic way.You can include in it animated images (GIF).This grid can be added wherever you want into your shop.